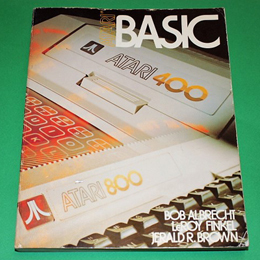 Shows you how to read, write and understand Atari BASIC. In just a few days you can learn to do nearly anything you want in Atari BASIC, without any special background or previous experience in programming. You will find detailed descriptions of all key words and functions of the language, and numerous example applications and games. A comprehensive 3332 page paperback in well used, but completely usable condition.